Most people are fairly used to the idea that a major claim on their car insurance policy or homeowners policy could trigger a premium increase (note that this certainly isn't always the case). So it's a common misconception that the same is true for health insurance. But that's not the case, and it wasn't the case even before the Affordable Care Act reformed the health insurance market. 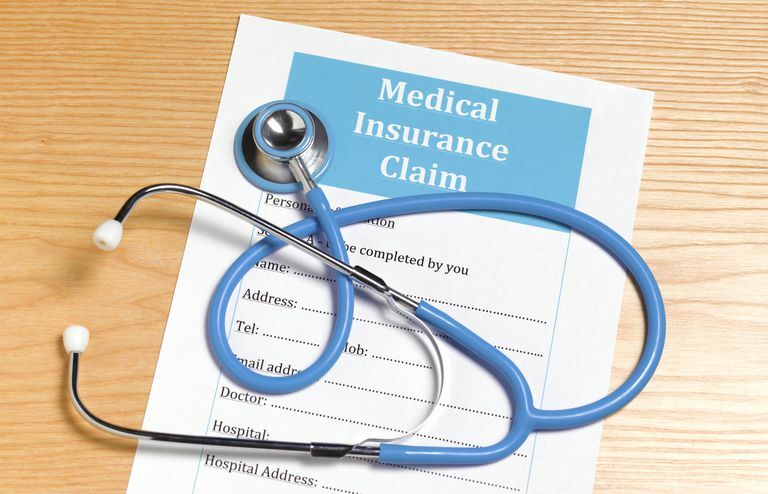 Even prior to 2014, when health insurance in the individual market was medically underwritten in nearly every state, there was no provision to adjust a particular insured's premium based on a claim. Once the person was insured, there was no leeway to adjust that person's rate independently of the rest of the risk pool. Before 2014, there was flexibility in all but five states for health insurers to set initial rates based on the applicant's medical history. So an applicant with pre-existing conditions might have been offered a plan, but with a premium that was higher than the standard rates. This was an alternative to pre-existing condition exclusions (wherein the pre-existing condition simply wouldn't be covered at all), and initial rate increases typically ranged from 10% to 100%, depending on the severity of the condition (and roughly 13% of applicants were unable to obtain a plan at all in the private individual market prior to 2014). But once you were insured, future claims would not result in a rate increase unique to your plan. If your plan included an initial rate increase, that would stay with you (so if your premium was adjusted upwards by 25% during the underwriting process, it would continue to be 25% higher than the standard rate in future years). But if you later had a claim—even a very large one—your rate change for the following year would be the same as the rate change for everyone else with the same plan in your geographical area. Rate increases have always been driven by claims, but total claims are spread across all the insureds in a given pool, which typically includes other people with the same plan in the same area. So if a lot of people in the risk pool had significant claims, everyone's rates might increase sharply in the coming year. But they would increase by the same percentage for everyone in that particular risk pool, regardless of whether they had a large claim, a small claim, or no claims at all. Under the Affordable Care Act, for health plans purchased in the individual and small group markets, there's no longer any flexibility for insurers to adjust rates based on an applicant's medical history or gender. Rates in those markets can only vary based on age, geographical area (ie, your zip code), and tobacco use (some states have taken this a step further, and banned tobacco surcharges on health insurance plans). So today, an applicant who's in the middle of cancer treatment will pay the same price as another applicant who's perfectly healthy, as long as they select the same plan, live in the same area, are both the same age, and have the same tobacco status. And as time goes by, they will continue to have rates that are equal to each other, regardless of whether either of them files claims with the health insurance company. Their rates will almost certainly go up with time, but that shouldn't be confused with individualized rate increases triggered by a claim. As enrollees age, their rates increase. Age is one of the factors that health insurance companies can still use to set rates, but individual and small group health insurance carriers can't charge older people more than three times as much as they charge younger people. And the overall rates for everyone on the plan will typically go up from one year to the next, based on the total claims that were filed by everyone on the plan. But they'll go up by the same percentage for people who filed big claims, people who filed small claims, and people who filed no claims at all. As long as your plan isn't discontinued, you'll be able to continue renewing it from one year to the next (note that this does not apply to short-term health insurance plans), and your renewal rates won't be impacted by your claims during the prior year—instead, your rate will change by the same percentage as everyone else in your plan's geographic pool. And from the opposite perspective, premium increases happen from one year to the next, even if you don't file any claims at all. Again, your rate increases are determined by the total claims for the entire risk pool; even though you might not have had any claims, other people did. And while that might seem frustrating in the years you don't have claims, you'll appreciate the fact that rate increases aren't individualized (based on claims) in years when you do have a major claim. The restrictions on premium variation in the individual and small group market do not apply to the large group health insurance market (in most states, that means 50 or more employees, although there are four states where large groups have 100 or more employees). The majority of very large health insurance plans are self-insured. But when large employers purchase coverage from an insurance company, the insurer can base the premiums on the employer's overall claims history. To clarify, the rates do not vary from one employee to another based on medical claims. But unlike the individual and small group markets (where claims costs have to be spread across the whole risk pool, which includes all of that insurer's other individual or small group plans), the claims history of a single employee can be taken into consideration when setting that employer's premiums in the large group market. Again, though, there is no provision for singling out an employee with high-cost claims and increasing that person's premiums independently of the rest of the group. The takeaway here is that you shouldn't be afraid to file a claim when necessary. You don't need to worry that you'll end up with a higher health insurance premium as a result. But your claim will be part of the total claims picture for your health plan when the coming year's rates are established, so avoiding overutilization (ie, things like going to the emergency room when urgent care or a primary care doctor would suffice) benefits everyone in your risk pool.